I roasted a chicken in my favorite dutch oven, and then I shredded it. I planned on making chicken salad for later in the week, but that never materialized. 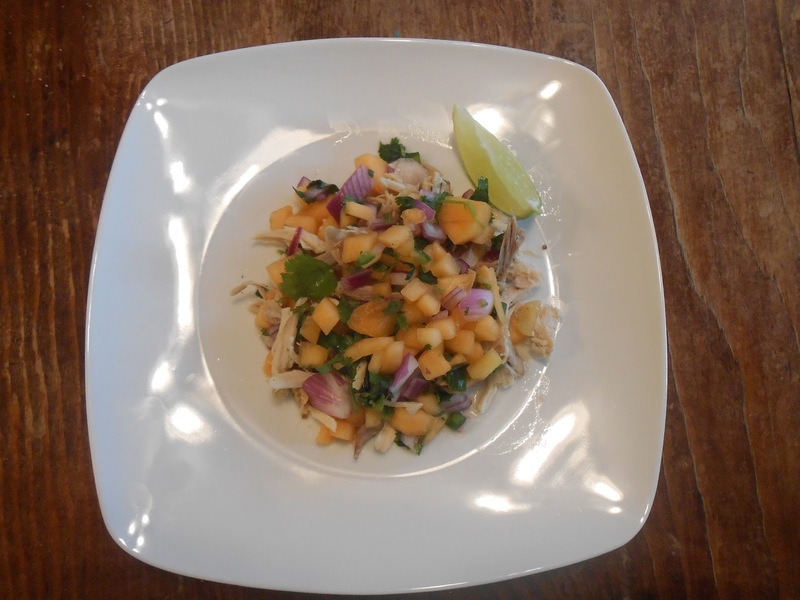 Today during our 4-H Food and Nutrition meeting the girls made this yummy Cantaloupe Salsa, and I decided to top the savory chicken with this refreshing garnish. It was really yummy paired with a Dos Equis Lager. Enjoy a last bit of summer harvest! Next Post But really, how do I do this?